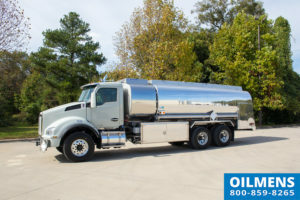 Oilmen’s Safety Rail System is available as an option on new truck tanks and trailers and can be purchased as an aftermarket kit for tanker retrofits. Oilmen’s handrail system can be raised and lowered from the ground with the push of a button. Another safety feature is the automatic retraction of the rails when air brakes are released – in the event that the operator forgets to lower the rails prior to putting the truck in drive. See a demonstration of this user friendly safety rail system on our videos page. 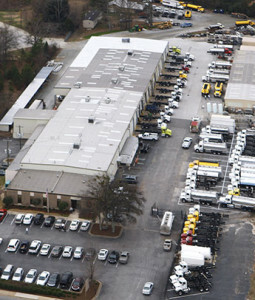 Oilmen’s Safety Rail System is custom cut to fit the length of your truck tank or trailer. Sales representatives are available to answer questions about the product and can be reached at 800-859-8265 or by submitting a contact form.